If you are into anti-aging skin care, retinol products should necessarily be a part of your skin care routine. Why? Because unlike the vast amount of exotic ingredients (ranging from gold to crocodile oil), cosmetic brands campaign for every year, retinol has actually proven its efficacy for anti-aging in decades worth of peer-reviewed research. You can include retinol in your skin care routine by using a retinol moisturizer for day (with SPF) or night as well as serums – the important thing is that it is a stay-on product. Below we have made a list of the five best moisturizers with retinol, ranging in strength from 0.01% to 0.3% – suitable for beginners as well as those who have already had some experience with retinol. Using a retinol cream covers both the Optimize (O) and Moisturize (M) steps in a COMP skin care routine. It is first in the second half of your 20’s that your skin cell turnover starts slowing down, so it is fine to start slowly with retinol products towards the end of your 20’s or in the beginning of your 30’s. There is no need to worry too much about anti-aging measures (except using suncream) or using a lot of money on anti-aging products from very early on – you have the rest of your life to do that;-) However, just because you are well into your 40’s, 50’s or more, it is never too late to start using retinol products. As long as you use a sunscreen along with retinol, you will see some good results with continued use. Retinol products, can however also be applied to mitigate very oily skin as the cell-communicating ingredient can help improve the shape of your pores so that the sebum can flow more freely to the surface rather than clogging up and causing blemishes etc. Used for this purpose, you can also start using retinol as early as your teens, but do consult a doctor or dermatologist beforehand. Which strength of retinol should you use? Retinol is a potent anti-aging ingredient – but whenever something is potent, it is also more likely to have side effects (in this case dryness, flaking, redness, irritation etc.). There is no official scale defining which ratio of retinol is low, moderate or high in strength, but we would tentatively suggest that products with a concentration of retinol less than 0.1% are relatively low in strength; concentrations from 0.1% to around 0.5% are moderate, and strong from around 0.5% and up. You can find over-the-counter products with concentrations of 2.5% or greater in some countries, but in general products with a strength of 1% are considered to be the best compromise between benefit and side effects. On the other end of the scale, we have products with as “little” as 0.01% retinol, but they too can produce great results – as well as annoying side effects. Therefore, always start with low concentrations of retinol (preferably less than 0.05%) and begin by applying a small amount of the product every second evening and use sun screen every day. Then gradually increase use to include every evening and potentially in the daytime too; again it is very important to use a sunscreen. When you feel that your skin tolerates the product well with next to no side effects, you can start to think about taking the next step up in retinol concentration. However, products with high levels of retinol (≥0.5%) are not necessarily for everyone and you might find that a low concentration of retinol is exactly right for your skin, regardless of how many years you have been using retinol creams. The key to good results with retinol, whatever its strength, is consistency in use along with diligent application of sun cream in the daytime. RoC was originally founded by French pharmacist Dr. Jean-Charles Lissarrague in 1957, but has since 1999 been under the patronage of American multinational manufacturer of pharmaceuticals and consumer goods Johnson & Johnson. 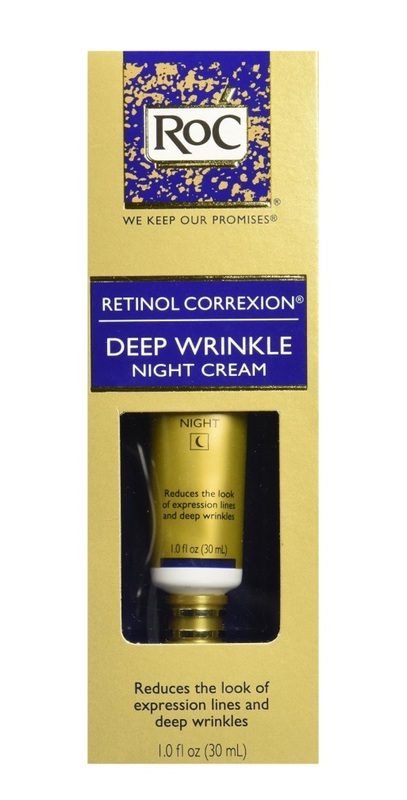 The brand is known for their relatively mild and affordable retinol products, and the RoC Retinol Correxion Deep Wrinkle Night Cream is one of their bestsellers. The cream is light-weight, goes on smoothly and is packed securely in an opaque tube to ensure the stability and thus efficacy of the retinol. The amount of retinol in the night cream is not disclosed, but users report it to be fairly mild compared to other products. RoC Retinol Correxion Deep Wrinkle Night Cream does indeed contain less than 0.14% retinol as it is listed after propylparaben (of which there can max. be 0.14%) in the list of ingredients. French pharmacy brand La Roche-Posay is most known for their calming and soothing products to very sensitive or intolerant skin, but has stepped out of the box to create a good moisturizer with retinol – which is a potent and thus potentially irritating ingredient. The result is the La Roche-Posay Redermic R Intensive Anti-Aging Treatment. Besides 0.3% retinol, the product also contains a fatty acid form of retinol, called retinyl linoleate (less potent, but also less irritating) as well the anti-inflammatory and cell-communicating adenosine. 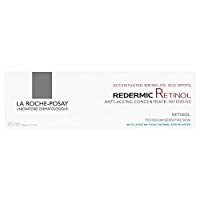 Redermic R is suitable for those who have tried lower concentrations of retinol and are ready for the next level. 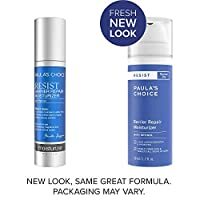 Paula’s Choice is featured twice on this list due to the simple fact that the brand makes good affordable products, notably when it comes to retinol products. The Resist Barrier Repair Moisturizer is a great choice for anybody starting out with retinol due to its low, but still effective concentration of retinol (0.01%) along with other beneficial antioxidants, peptides and ceramides. The cream is very light in its formula, so we would say that it is suitable for almost every skin type (except the oiliest). For very dry skin, it might be necessary to use this product under a more nourishing moisturizer. 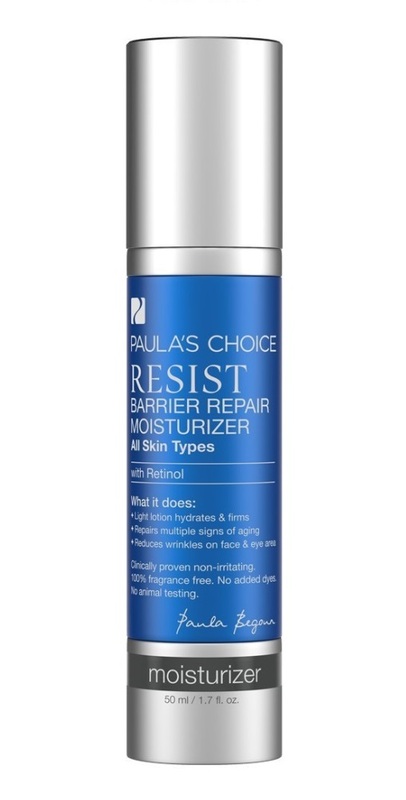 The Resist Barrier Repair Moisturizer is, however, also available in a richer version, namely the Resist Intensive Repair Cream with retinol. 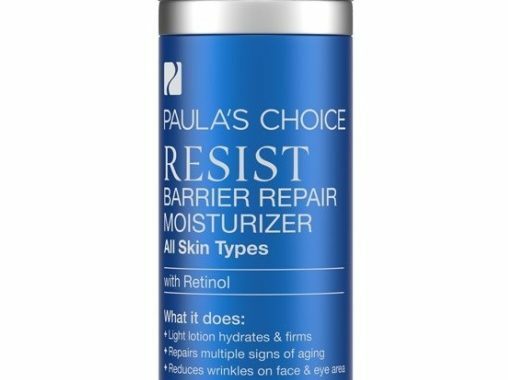 Ingredients – Paula’s Choice Resist Barrier Repair Moisturizer: Water (Aqua) • Dicaprylyl Carbonate (emollient) • Glycerin (skin-identical ingredient) • Ethylhexyl Stearate (thickener) • Cocoglycerides (emollient) • Butyrospermum Parkii (Shea) Butter (antioxidant emollient) • Squalane (emollient) • Sodium Polyacrylate (film-forming agent) • Lecithin (cell-communicating ingredients) • Adenosine (cell-communicating ingredients) • Palmitoyl Tripeptide-1 (cell-communicating ingredients) • Ceramide NP (skin-identical ingredient) • Retinol (cell-communicating ingredient) • Punica Granatum (Pomegranate) Extract (antioxidants) • Camellia Oleifera (Green Tea) Leaf Extract (antioxidants) • Glycyrrhiza Glabra (Licorice) Root Extract (anti-irritant) • Tetrahydrodiferuloylmethane (antioxidants) • Tetrahydrodemethoxydiferuloylmethane (antioxidants) • Tetrahydrobisdemethoxydiferuloylmethane (antioxidants) • Tocopheryl Acetate (antioxidants) • Chamomilla Recutita (Matricaria) Flower Extract (anti-irritant) • Glycine Soja (Soybean) Seed Extract (antioxidants) • Glycine Soja (Soybean) Oil (antioxidants) • Butylene Glycol (slip agents) • Propylene Glycol (slip agents) • Glyceryl Polymethacrylate (film-forming agent) • Xanthan Gum (thickener) • Phenoxyethanol (preservative). 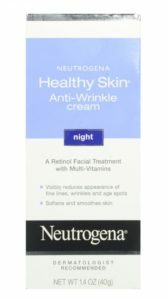 Neutrogena Healthy Skin Anti-Wrinkle cream is the cheapest retinol cream featured on this list, but still includes an impressive amount of green tea extract (Camellia Oleifera) which both works as an antioxidant and anti-inflammatory. Besides retinol (vitamin A), it also contains smaller amounts of panthenol (vitamin B5) and tocopherol (vitamin E), which is why Neutrogena coyly can call it a “multi-vitamin treatment”. The actual amount of retinol in the product is not disclosed (common among manufacturers in order to avoid a “race” for the highest concentrations), but the affordable prize is an indication of a lower retinol concentration as it simply is more expensive to produce stronger retinol products (same goes for the RoC Retinol Correxion Deep Wrinkle Night Cream above). However, the retinol concentration is still high enough that users both report of good results as well as side effects. Combination and oily skin do not always need a moisturizer (in fact, it can sometimes make matters worse), so therefore we included a serum with retinol specially formulated for oily and combination skin. 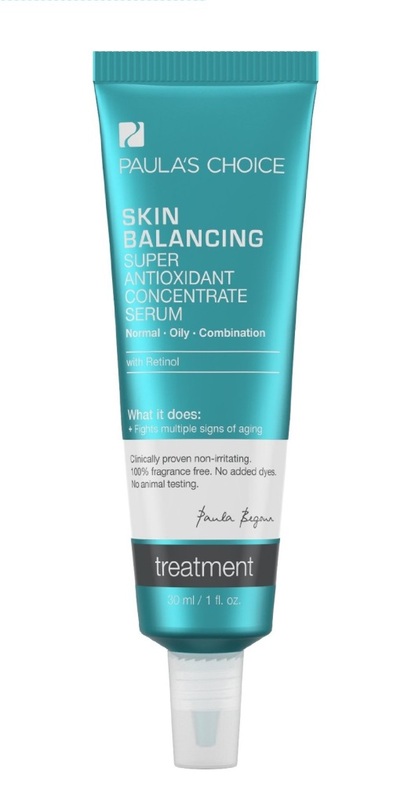 The Skin Balancing Super Antioxidant Concentrate Serum from Paula’s Choice contains 0.03% retinol – along with an impressive lineup of antioxidants (vitamin C and E among others) and anti-irritants in order to reduce inflammation and irritation. It is meant for all degrees of oily skin and will leave the skin surface with a smooth matte appearance. You will not need a foundation primer if you are wearing Skin Balancing Super Antioxidant Concentrate Serum! Posted in Skincare Reviews and tagged anti-aging, anti-wrinkle, COMP, La Roche-Posay, Neutrogena, Paula's Choice, retinol, RoC, skin care. Dear Maria, LRP has moderate content of retinol at 0.3% so it might have been a little heavy for your skin to start with. If you have only used it for 4 weeks and find that your skin is slowly getting used to it, by all means continue with it – perhaps for the rest of the year or at least till fall when there is less sun (although it will still be vital to wear sunscreen every day). When/if you want to go higher percentage-wise (once your skin is completely fine with LRP’s 0.3%), you could aim for 0.5% or even 1%. 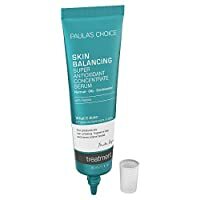 For UK options: SkinMedica offers a serum (Retinol Complex) of either concentration, but if you want something cheaper check out Paula’s Choice for 1% retinol products. This brand offers travel sizes, so you don’t have to invest in a full-sized product before you know if it suits you. But first, give your skin some time to become friends with 0.3%! All the best, Laura P.